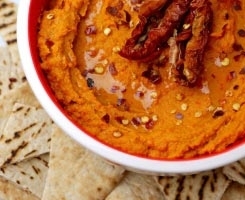 Want to pack a ton of nutrition into one simple snack? These whole-grain, vegan, gluten-free muffins have it all – fibrous sprouted oats, protein-packed chickpeas, and iron-rich spinach. They’re the perfect bite for baby-led weaning. Before my son started solids, I thought feeding was going to be a breeze. I was all set to do baby-led weaning (a method of solid introduction where baby feeds himself right from the start, without the use of purees) and excited about the fact that he would be able to eat many of the same foods as me, with slight modifications. But things didn’t go exactly according to plan. Caleb was a bit of an indifferent eater from day one, tending to get bored at the table after just a few minutes. This meant he wasn’t getting a ton down. This is to be expected initially with baby-led weaning, and as an RD, I would counsel most parents to relax in this situation – the baby is just learning. But it is justifiable that parents are at least conscious of their child’s intake. 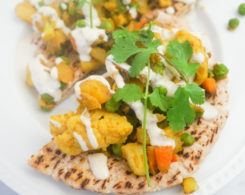 Despite what you may have heard, food before one is not just for fun. Starting at six months, babies’ iron needs drastically increase as their bodily stores from birth begin to dwindle. Formula-fed babies are usually fine – iron is typically added to baby formula. But exclusively breastfed babies must meet their iron needs through food, or begin supplementing sometime around 4-6 months (ask your pediatrician what is right for your baby). Another consideration is dietary pattern. Iron is better absorbed from animal products, so babies consuming only plant-based iron will need more and parents will need to focus on optimizing iron absorption from these sources. Finally, factors like prematurity and time of cord clamping can play a role in babies’ initial iron stores. As Caleb is predominantly plant-based (like his mother), exclusively breastfed, and not the most vigorous eater, iron intake has become a big priority for me. In order to meet his increased needs, I’ve been hyper-focused on offering iron-rich foods. Grains and legumes are great sources of iron, but in their whole food form, they can be difficult to offer via baby-led weaning. At six months, babies haven’t developed a “pincer grasp” so they have to pick up food using their full fist (palmar grasp). So I found myself trying to create finger-foods including these nutrient-dense ingredients. 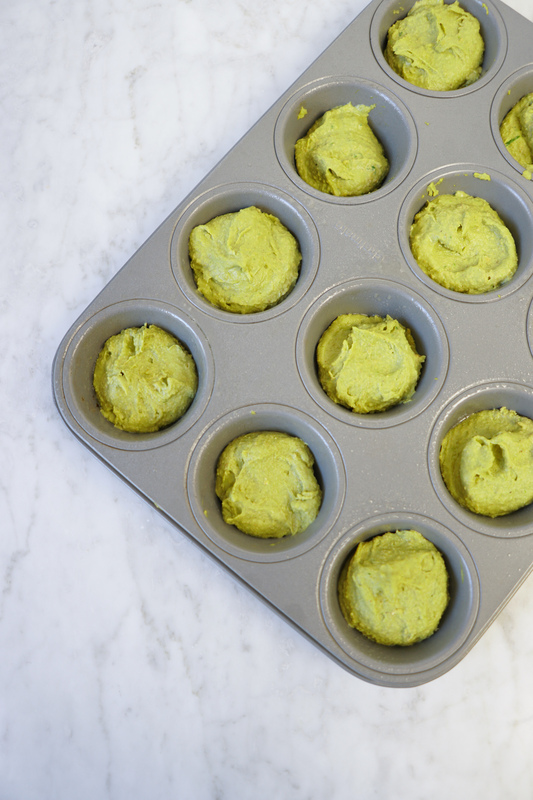 These vegan, gluten-free “Baby-Led Weaning” Muffins are an awesome way to offer your babe beans and whole grains in an easy to grab form. 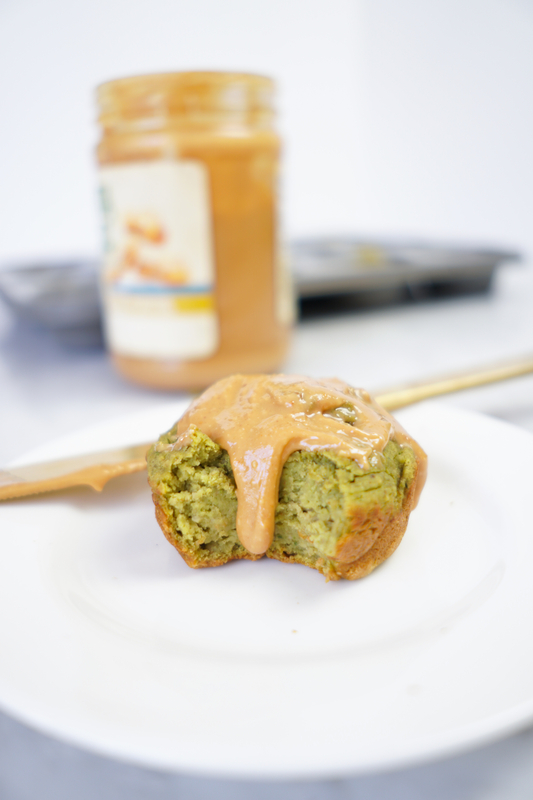 And don’t let the name (or color) dissuade you – these nutrient-dense muffins are super moist, chewy, and delicious! 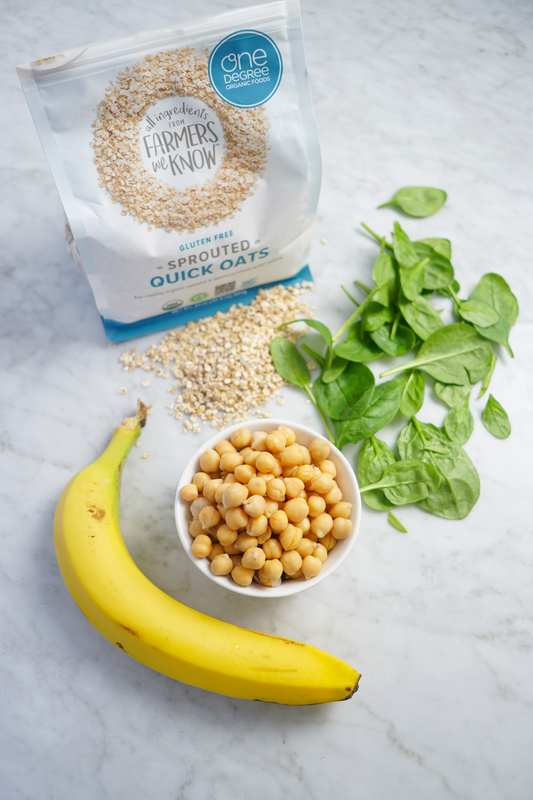 Made with One Degree Organics Sprouted Quick Oats, chickpeas, and spinach, two of these tasty little morsels pack about 16% of the RDA of iron for babies 6-12 months old. #1. 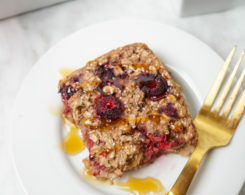 They’re organic – something especially important for oats given the recent news about high glyphosate levels in conventionally grown oats and children’s food products. One Degree Organics certifies that all of their products are glyphosate-free. #2. They source all of their grains directly from farmers creating just one degree of separation between you and growers. #3. They’re sprouted. 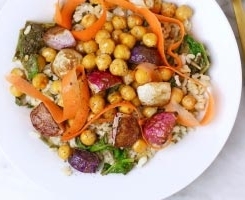 Sprouting grains helps improve the bioavailability of iron by decreasing the phytic acid content, which can impair absorption. 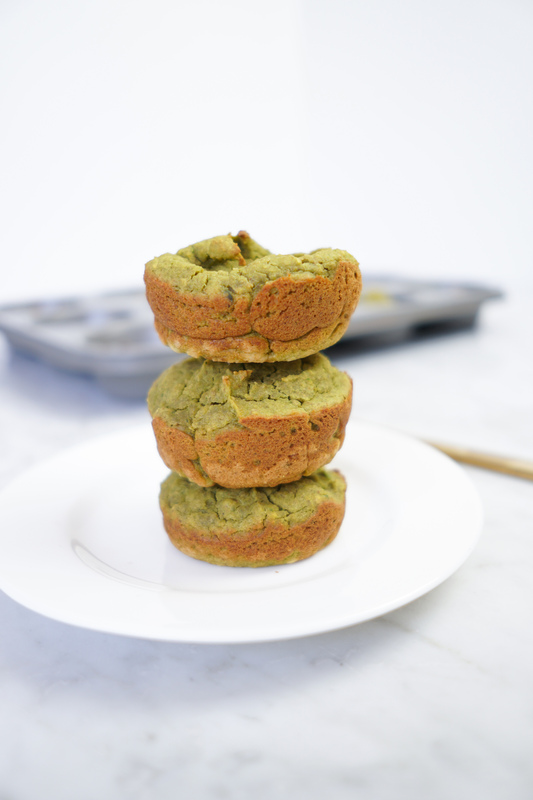 The vitamin C in these muffins from the spinach further helps increase the bioavailability of the plant-based iron in these nutritious muffins. The muffins have no sugar or salt added (it’s best to avoid both with babies), but they can be adapted for older kids and adults by adding ¼-1/2 cup of maple syrup or sweetener of your choice. However, I had a friend over the other day who is doing a New Year’s detox diet (don’t get me started) and I offered him one of Caleb’s muffins since they met the criteria of his diet. He loved it. I’m not sure if that’s a testament to the power of taste bud transformation or to the yumminess of these muffins – either way, these muffins are a healthy snack for all! I’ve been enjoying them as a mid-day snack, topped with peanut butter. Healthy whole-grain, iron-rich muffins for baby-led weaning made with oats, chickpeas, banana, and spinach! Vegan, gluten-free and no sugar. Process oats in a high powered blender or food processor until they reach a flour consistency. Distribute batter in a greased muffin tin and bake on 350 degrees F for 20 minutes. 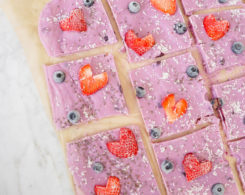 FYI – If you’re looking for more iron-rich, healthy recipes for introducing solids, my E-book, First Bites: The Definitive Guide to Baby-Led Weaning, has a bunch! Weigh in: Have you heard of or tried baby-led weaning? 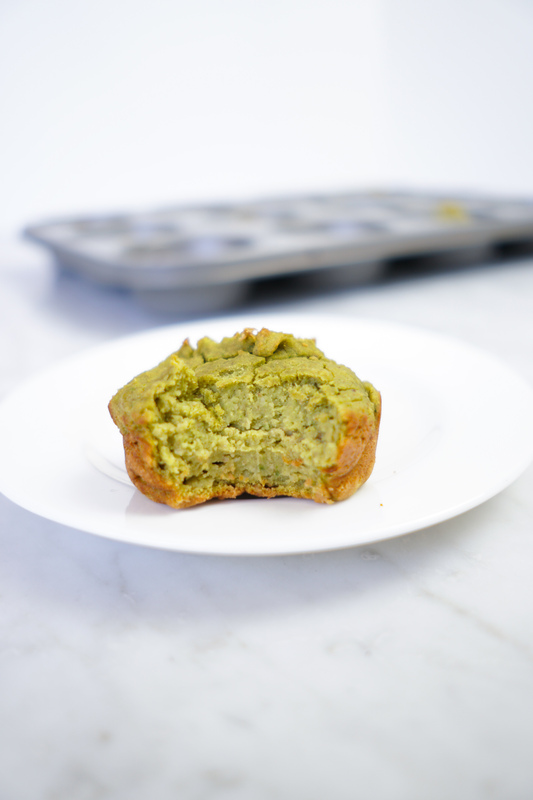 Will you try these vegan, gluten-free baby-led weaning muffins? *This post is sponsored by One Degree Organics but all opinions are my own. I thank you for your support of Whitney E. RD-approved partnerships that make this website possible. FYI – I will never partner with a brand whose products I wouldn’t personally use, eat, or serve my family!